To Don McIvor, a piece of wood encapsulates many branches of history – stories of his family, connections with centuries-old artistic tradition, and the life of the tree itself. McIvor was first introduced to woodworking when he was growing up in Virginia. His father built furniture and architectural accessories such as arched windows and spiral staircases; one grandfather made extravagant dollhouses with miniature tables and chairs, and the other crafted finely detailed rifle stocks. But woodworking was always a hobby for them. But from a young age McIvor got to experience woodworking as a profession – one of his first jobs was working for a family friend, an expert in historic construction techniques who rebuilt 200-year-old log cabins. There was a wealth of historic log and post-and-beam structures that they’d dismantle and reassemble on another site. Taking those houses apart offered McIvor a privileged, in-depth look at joinery that had been done entirely by hand. Although he went on to a career as a biologist, McIvor always kept up with woodworking, expanding his repertoire to include furniture and kitchen cabinetry, and dabbling in wood carving. Working as a biologist took him around the West for several decades. 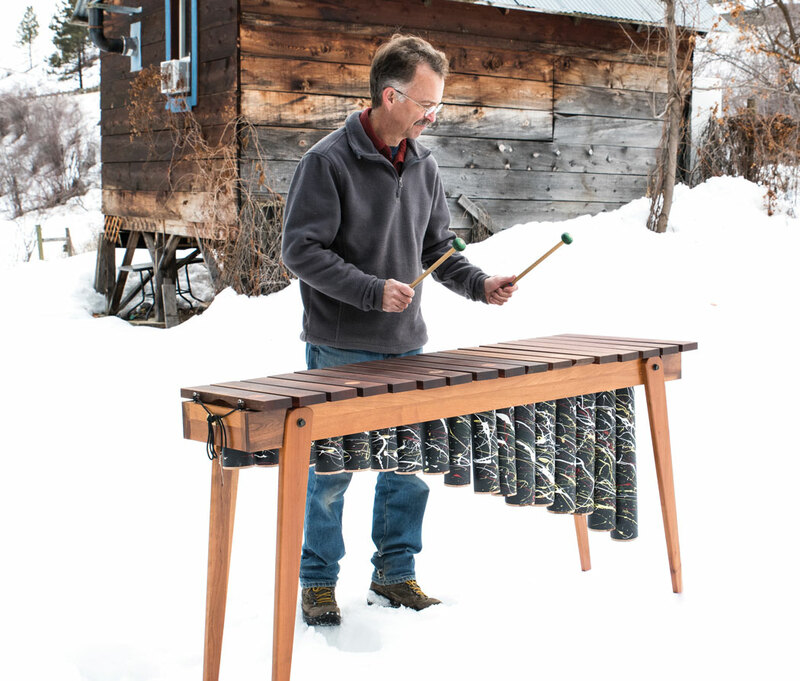 When a job brought him to the Methow Valley, he was ready to settle down and was finally able to set up a wood shop. The first equipment he bought was a lathe for woodturning. 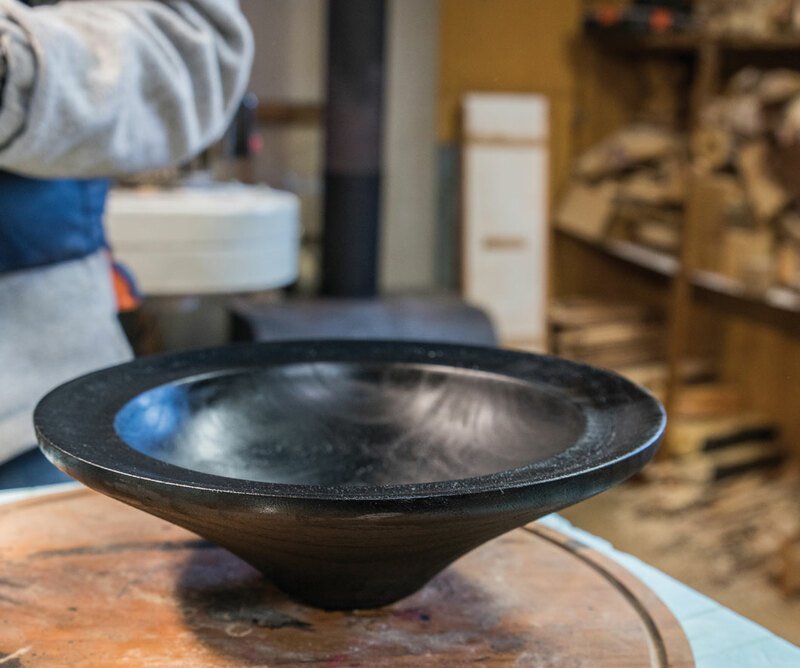 McIvor spent a year teaching himself woodturning with what he described as “limited success.” But he was captivated by the process. “There’s something about using a lathe that’s really addictive. I fell for it hook, line, and sinker,” he said. 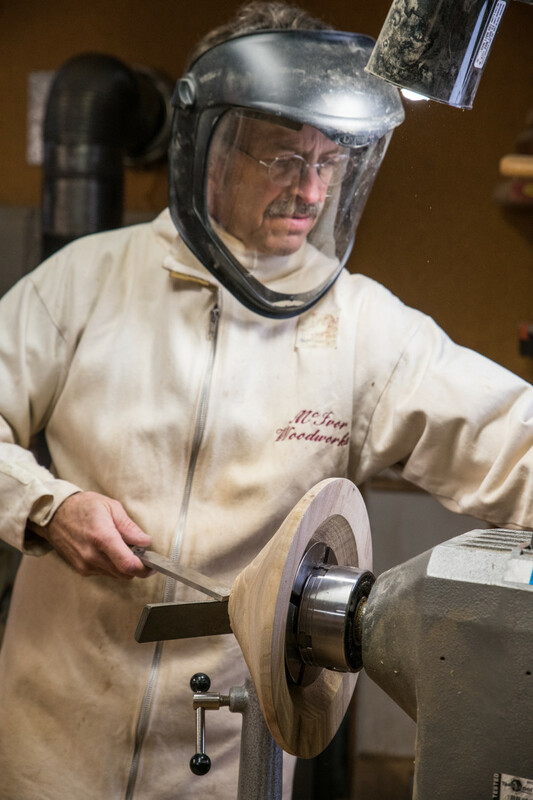 A week-long intensive class in woodturning with an internationally known artist was a huge breakthrough for him. 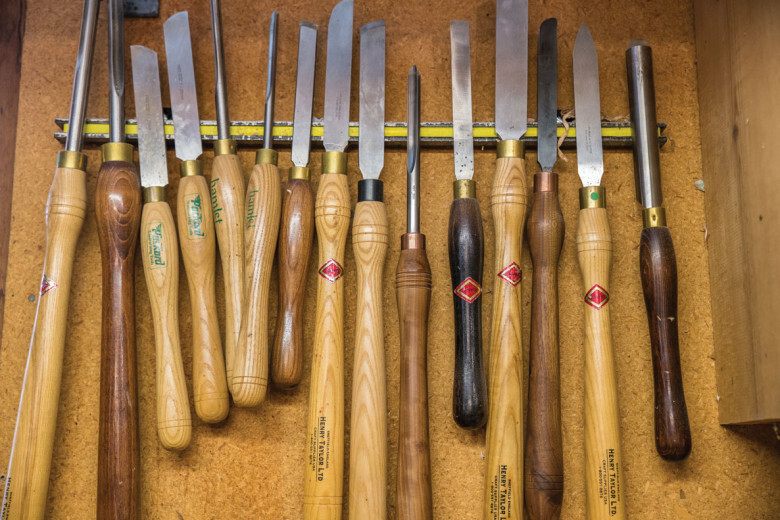 “I didn’t know what a sharp tool was, and that was a critical piece. Everything else flows from that,” said McIvor. Without sharp tools, it’s hard to control the lathe and you end up tearing the grain and having to do a lot of sanding. “Nobody likes sanding – it’s dirty, noisy, and boring,” he said. The class gave him practical skills, but seeing his teacher in action was the greatest revelation. “It’s not what I expected. Watching him work at the lathe was like watching a ballet dancer – there wasn’t a wasted move,” said McIvor. Now, more than a decade later, McIvor’s living space is filled with his creations – wide, shallow bowls with gently sloping sides; deep vessels with a subtly fluted edges; tiny covered bowls for seeds. A forest of salt and pepper mills is a centerpiece on the kitchen table; and a shaving brush rests on a bathroom shelf. Exquisite kitchen cabinets pair walnut and maple. McIvor’s home is also a laboratory for finding other ways to inject beauty and tactile pleasures into the basic activities of daily life. 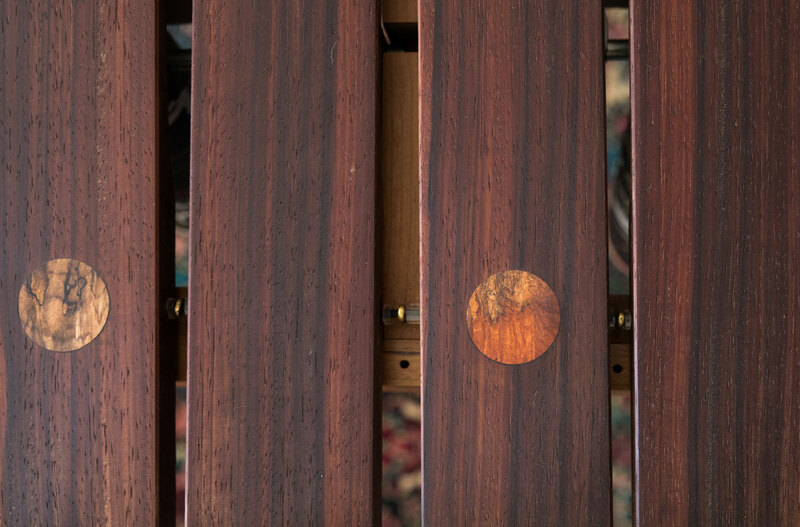 In his world, a lowly heat-ventilation grate, a utilitarian object that’s inconspicuous at best, is made from wooden planks decorated with a pattern of circles from the lathe and with strategically placed holes. McIvor is working on another vent design, adapting a hanging sculpture he made some years ago. Using the lathe, McIvor carved waves in thin strips of wood and then reassembled the strips to create a delicate wooden screen that suggests ripples in water. The focal point in the McIvors’ bathroom is an exquisite sink made from walnut, its rich sienna gleaming from natural oils in the wood (and half a dozen layers of sealant that make it impermeable to water). 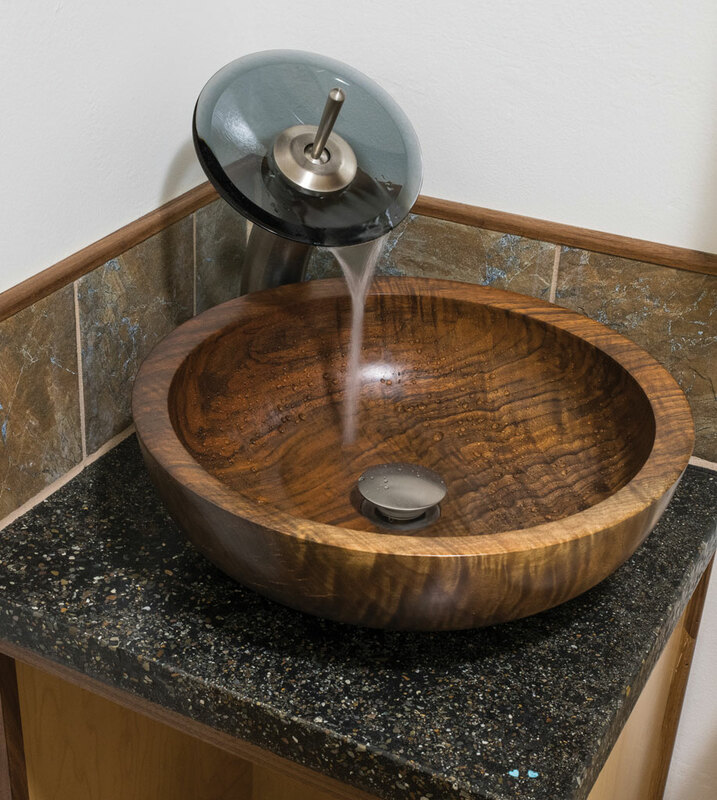 Beyond its aesthetic appeal, the sink is an enduring connection to his family. The wood came from an enormous walnut tree in Virginia that he and his father spent days cutting up. What lends particular beauty to McIvor’s work is the simplicity of the forms and the way the shapes complement the wood grain. In some pieces, the grain is a continuous pattern, while in others, the pattern of decomposing wood creates a dramatic focus, like the intricate tentacles of fractal geometry. There are two basic approaches to woodturning – face-grain turning, in which the direction of the grain is perpendicular to the lathe axis, and spindle turning, which is done parallel to the grain. McIvor uses spindle turning to make his salt and pepper shakers and shaving brushes (it’s also the technique used for chair legs and baseball bats), while face-grain turning produces bowls and other hollow-form vessels. He also takes two distinct approaches to his woodturning. Sometimes he starts with a particular outcome in mind and looks for wood with the right grain. But at other times the inspiration starts with the wood itself. “I allow the wood to direct the process and tell me what it wants to tell me, how to reveal what’s inside,” he said. All the pieces start with a simple log that could as easily have become firewood. McIvor cuts the log in half and gently removes the heart. Once it’s dry, he checks for distortion or deterioration radiating from the heart. Cracks are not always undesirable – McIvor may use them as a place for an inlay of turquoise, brass, or copper. Still, if a piece of wood has too much decay, it won’t have enough integrity to survive the high-speed revolutions on the lathe. ”You don’t want to be standing there when a piece flies apart,” said McIvor, noting that people have been injured – and even killed – by a wooden projectile. 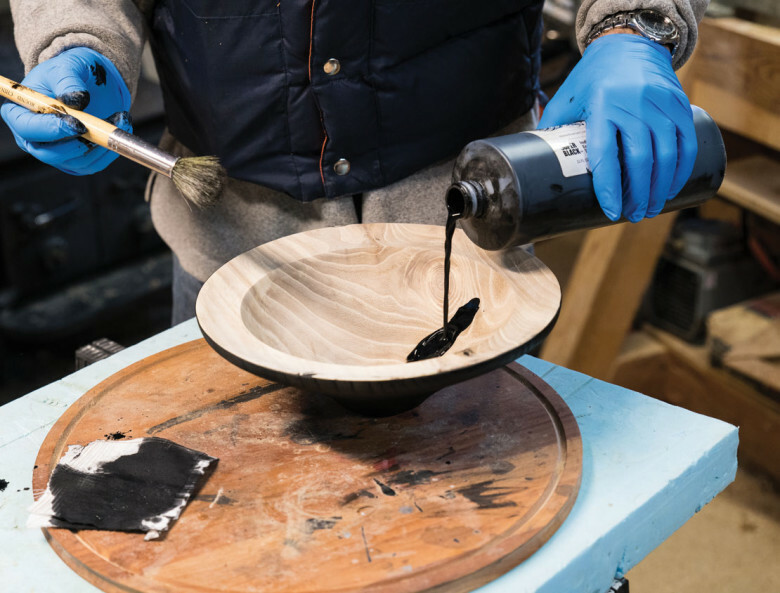 Because wood comes from a living thing, a woodturner gets to experience it as it changes. McIvor generally starts with green wood. “The process creates long, dramatic curls of wood. 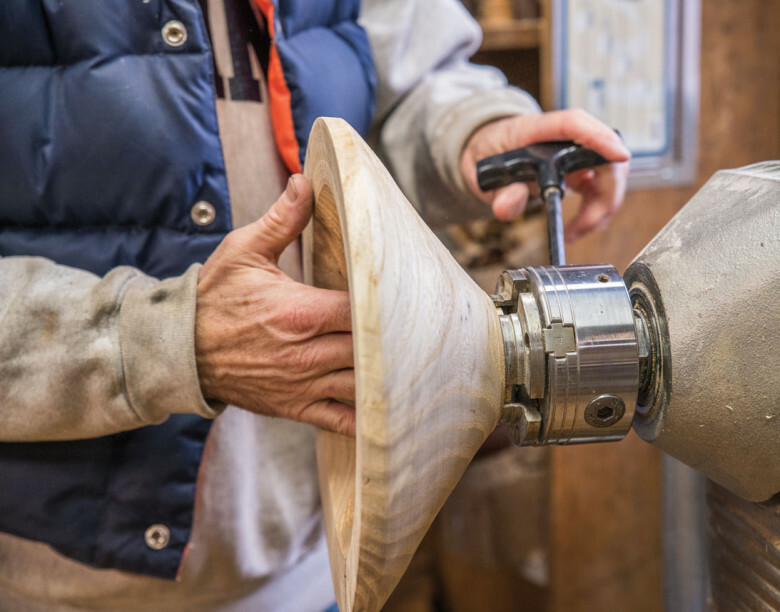 It’s great fun – one of the most addictive parts of woodturning,” he said. After the first turning, the wood has to dry for several months. The drying stabilizes the wood, but the wood also warps as it gives up moisture. McIvor remounts the warped piece on the lathe and turns it again, coaxing it back into round amid a shower of wooden confetti. Because woodturners don’t need long, straight boards, McIvor sometimes scores a tantalizing piece that a carpenter can’t use. “I want the figured parts of a tree that give cabinet makers fits when they’re trying to level it,” said McIvor. “This pastime lends itself to opportunism,” he said. But finding a great chunk of wood is more serendipity than anything else – it’s rare to pick up wood from the side of the road. Although McIvor looks longingly at fruit trees being pulled up from an orchard, more often than not, the wood is destined to become chips for smoking food. “Beautiful fruit trees turned into wood chips – that’s a crime in my book,” he said. 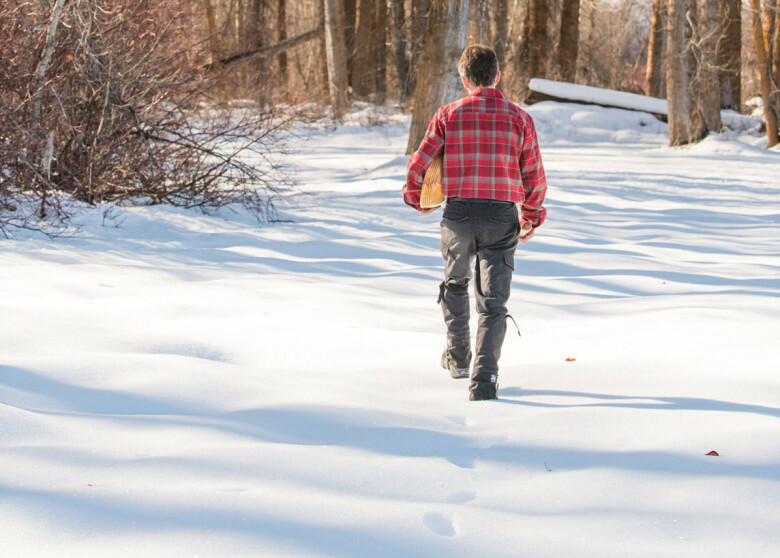 Timber slash and old yard trees can furnish good raw material, but most local species, like Ponderosa pine, Douglas fir, and spruce, are too soft for woodturning. About once a year McIvor makes something from Ponderosa pine. “That’s just often enough to remind me that you get resin on every surface, including your hair,” he said. Larch is one local species with a pleasing grain and rich amber color that turns nicely. While cutting larch for firewood, McIvor noticed a section with unusually fine grain and cut a slab for a bench. The center turned out to have too much rot, so he salvaged a 6-inch piece and made a canoe paddle instead. “I counted the growth rings in the paddle with aid of a hand lens, and that 6-inch slab of the tree represents 175 years of growth,” he said. Since the larch was about 24 inches wide at its base, McIvor calculated it could have been 350 years old. McIvor’s favorite wood is mountain mahogany, a very-fine-grained tree native to the Great Basin of Nevada. With only 6 inches of rain a year, the tree is so slow-growing that it definitely won’t be replaced in his lifetime, but he occasionally came across a downed tree. “It’s more like marble than wood,” he said. 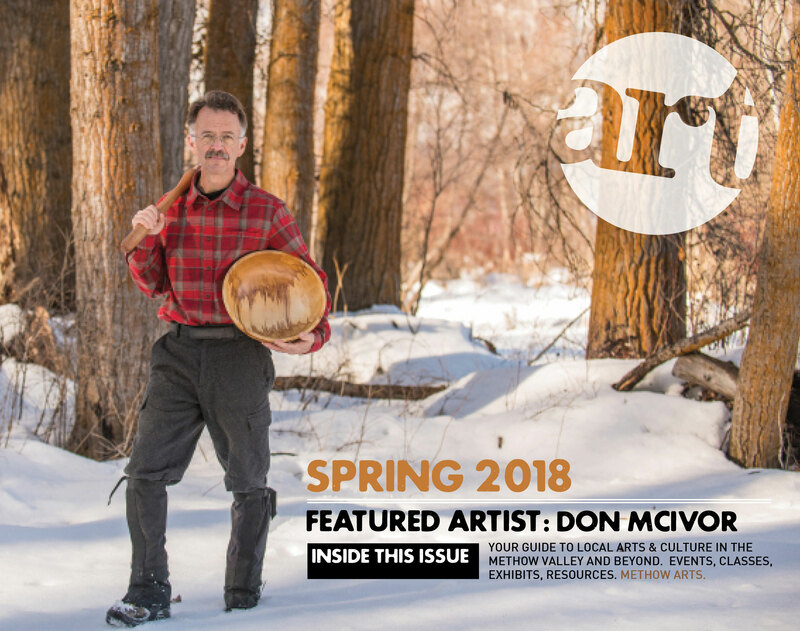 McIvor actually seeks out wood with “defects” for his sculptural projects, which often incorporate petroglyphs or other imagery inspired by native Southwestern cultures. In one piece, McIvor used the lathe to carve concentric grooves in a slab of wood and then cut the piece into pillars. He incised petroglyphs on the faces of the pillars, accenting the design with paint and dye. He also makes hollow vessels based on the asymmetrical forms of clay pottery, with just a small opening through which he carefully scoops out the heart of the wood. McIvor is always looking for more ways to combine his love of the functional and sculptural. 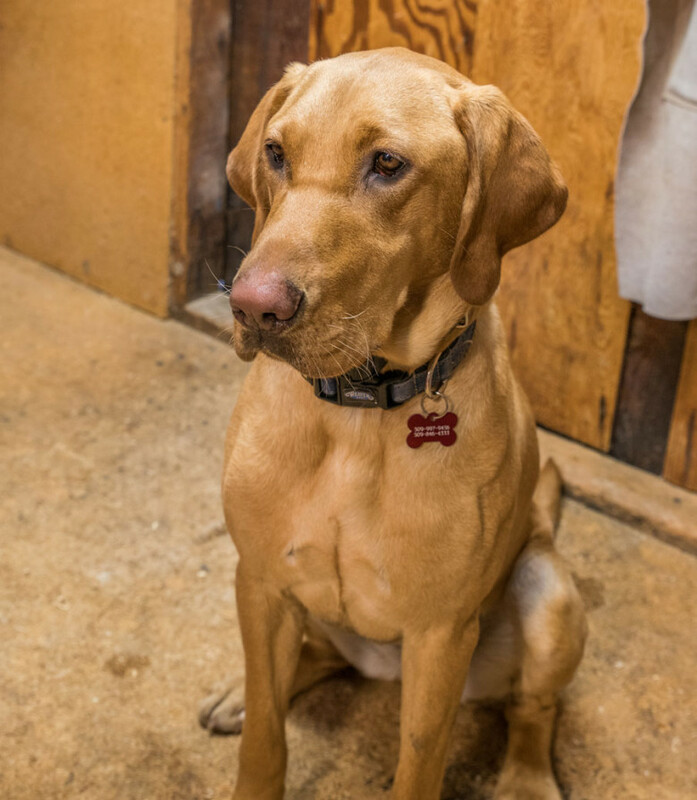 He’s building a larger workshop to have the space to build furniture and cabinetry. He has his sights set on a larger lathe for woodturning. “I do this for the fact that it nurtures my creativity – I don’t want a production job,” he said.